At The Lock Guy, our highly trained technicians can work in all aspects of locksmithing including industrial lock and key / commercial security. With our extensive product knowledge and expertise we can offer you an efficient locksmith service and security solution for your shop, factory, office, business or school. 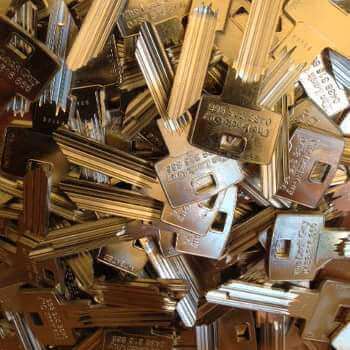 At The Lock Guy, we highly recommend the use and installation of restricted master key systems which will allow you to manage access to all areas efficiently and can help to monitor keys issued within your business or commercial property. An industrial safe to protect your valuables is also a recommendation for any company. Gates should be secured with high quality and hardened or alloy chains & padlocks. 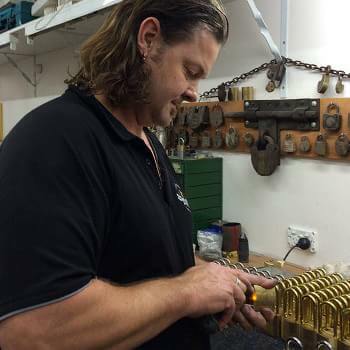 Information regarding suitable locks can be obtained from the Australian Standards Association or a locksmith. All gates should be kept closed and locked when not being used. External doors and frames should be made of solid construction. Doors should be fitted with single cylinder locks. Windows and frames should be built of solid construction. Windows should be fitted with key based window locks to restrict access. Installation of metal grilles and shutters to windows is a bonus. Landscaping should be maintained around the building to increase visibility. Install lighting in and around your business, especially over entry/exit points. Installing sensor lighting is great as it only activated when movement is detected nearby. The power board should be encased in a metal cabinet and secured with a high-quality lock. A safe which is designed and installed by Australian standards is good to provide extra security for money and other valuable possessions. Make sure the safe is fastened to the floor to stop it been taken away quickly. It is recommended for the safe to have a drop-chute to make it easy to deposit money without having to open the safe. Safe can be fitted with a time-delay lock. The safe should be locked up and secured when not in use. The safe should be fitted in an area where there is limited access, so public access is not possible. Lock cash drawers when not in use. Move extra cash from the cash drawer and put into a safe when possible. CCTV can increase physical safeguard and assist with identification of criminals. Camera's should be installed inside as well as outside. Recording should be set up to keep archives of camera footage. Camera's should be monitoring all the highly sensitive areas in the business. TV Monitors should allow staff to monitor activities. 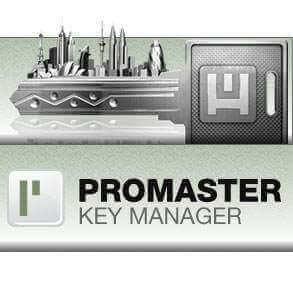 Ideal for the workplace application is the Restricted Master Key implementation. A system that is structured to the needs of our customers creating a hierarchy of keys from a Grand Master Key to purely just a store and gate key. The Lock Guy will tailor a secure coded and colored key system to efficiently manage keys and access areas within your company using specialized computer software. Moved into new premises, factory, office building or shop front? 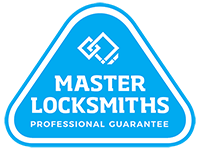 The Lock Guy can assist you with the supplying and fitting of new locks, creating and maintaining a Restricted Master Key System, repairing and upgrading of existing locks, recoding of locks to a new key, roller door locks and also fire compliant locks and closers. Padlocks are an ideal choice for the securing of gates, roller doors, cupboards, doors, toolboxes, and grilles. 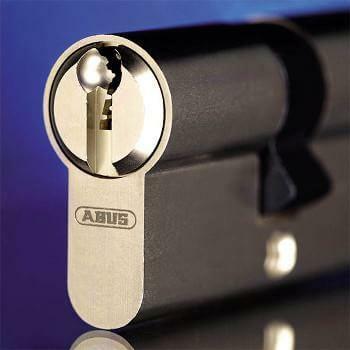 Our vast range of Abus Padlocks can be keyed alike to your door keys or master keyed to suit your New Restricted System. Also coming in a closed shackle version to prevent theft from the use of bolt cutters. Whatever your padlock requirements, The Lock Guy has the right solution. Fire exit door compliance is a must for persons who manage workplaces to ensure that exiting and entering the workplace is without risk. This includes ensuring that locks fitted on exit doors are fire rated and compliant with local government regulations. 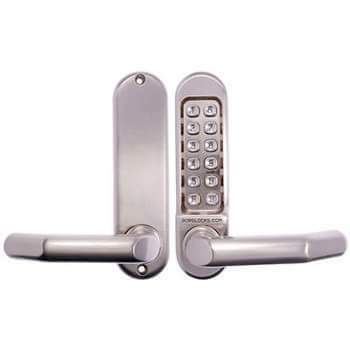 Locks with one action only lever handle from the inside releasing to outside are an ideal choice. All Fire Exit Doors must be outward opening and be cleared for an emergency exit at all times. The Lock Guy can survey your property and advise on the best and most compliant solution for your business. Lockable Bolts come in a range of sliding and hinged door applications. Brands we use and recommend are Lockwood and ADI Lockable Bolts. All Lockable Bolts come in a variety of colors and finishes to suit. These bolts increase your security of your doors by 100%. The Lock Guy can recommend Lockable Bolts to improve the defense of your premises. A must for the added defense to your premises is to include Window Locks alongside Lockable Bolts, Fire Exit Door Locks and Padlocks for the adequate safety of your equipment and property. It is now a requirement for most insurance companies to add Window Locks to your premises to effectively secure your premises. The Lock Guy can ensure all of your windows by the fitting of appropriate locks to your timber or aluminum windows using sliding window locks, casement window locks, multi bolts and lockable window winders. Window locks can also be keyed to your front door key or Restricted Master Key System for ease of use. At The Lock Guy, we can recommend the right Door Closer for your internal or external door application at your premises. A trusted brand we use is Dorma Door Closers which offer closers for your medium to the heavy application. 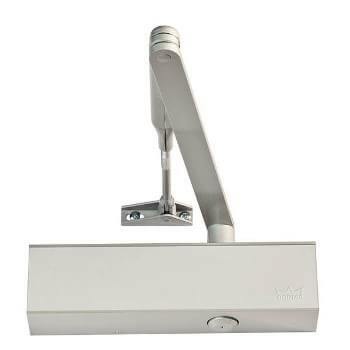 Dorma Door Closers are a convenient way of shutting doors safely and efficiently. Also a must for adding to Fire Exit Doors which need to be self-closing to comply with current local government regulations. Door Closers are suitable for most door types and designs. The Lock Guy can quickly and efficiently repair, service, open and change the combination of your Safe. We can also supply Commercial Safes for the protection of your valuables from theft or damage. Safes come in many sizes and formats such as In-floor safes, under counter drop boxes, deposit safes, drug safes, record holding safes and fire rated safes. Fire Rated Safes are tested in a thermos at 1000 degrees and offer effective protection of documents or valuables in the event of a fire. Safes come with various opening methods including digital, combination, fingerprint and key opening. Fire Resistant Filing Cabinets are available in a two, three or four drawer capacity depending on size required. These cabinets also have a one or two-hour certification to protect documents and files from a fire. An Access Control System allows you to access your premises with a range of methods electronically. These include remote control, fingerprint reader, digital keypad, swipe card, key fob and mobile phone or smart device access combinations. An Access Control System allows you to track the daily movements of staff, contractors, and suppliers. A CCTV Camera can also be incorporated into your system with audio/voice communication at your main point of entry if required. This method also allows you to deny access to specific areas if needed within your business. 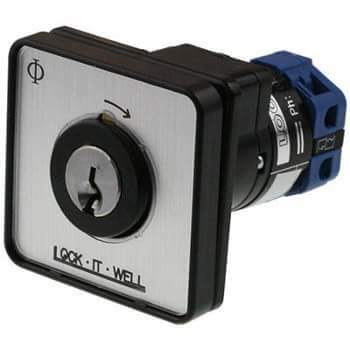 At The Lock Guy, we can tailor a system that is best suited to your requirements. Call and speak to our Access Control expert today. 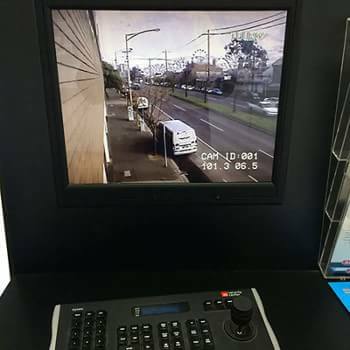 CCTV Cameras are now becoming essential as an additional measure on properties in and around Melbourne. Video monitoring of and securing your possessions, equipment, and vehicles are becoming more popular with the aid of theft and damage to property. 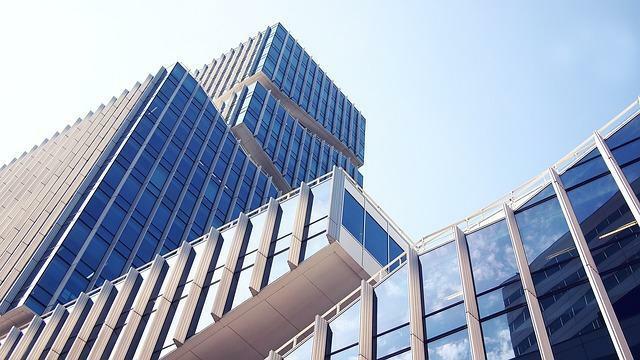 After completing a building or office survey, the qualified team at The Lock Guy can recommend a system that will best suit your requirements and level of security to be achieved, whether it be a simple wireless solution or hard wired and monitored system with access from your mobile phone or smart device remotely. Call and speak to a professional today.